This is the final post in my series about the games and consoles of the seventh generation (PlayStation 3, Xbox 360, Wii, PSP and DS). After two months, several thousand words and countless evenings spent staring at a blank screen, I have finally finished writing my Seventh Generation series. It is time to wash our hands of the last eight years and look forward to a new era of micro transactions and sentient game peripherals. Almost time, anyway. 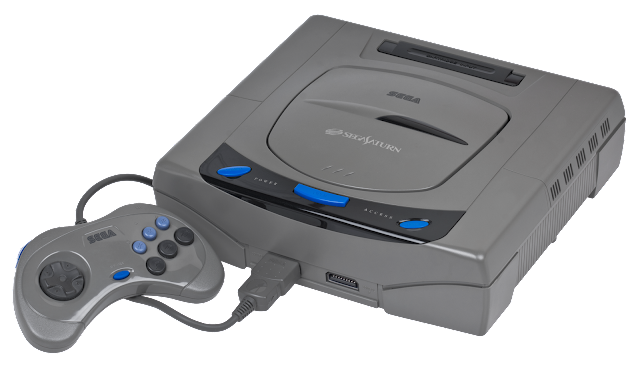 I'd appreciate it if you could maintain your nostalgia for the very recent past for one last post, as I share with you my favourite game of the seventh generation. Choosing my favourites of the 360-PS3-DS-PSP era was fairly easy. Putting them in order of preference, however, was far more difficult. I was adjusting the order as I went and had more than one, last minute change of heart. Even now, I am second guessing some of my decisions and am convinced that I was far too generous with Grand Theft Auto 5. For all my indecision and doubt, not once did I question my selection for the top spot. I fell in love with Uncharted 2 (2009) the first time I played it, and the passing of time has not lessened my enthusiasm for the game that defined my seventh generation. The Blue Fields, over-world music from Final Fantasy VIII, Snake Eater from Metal Gear Solid 3 and any version of the Final Fantasy Crystal Theme; these musical arrangements have two things in common. First, they evoke great memories, both in-game and real life. Second, and most importantly, they make me want to play the game to which they are attached. Greg Edmonson's theme tune for Uncharted belongs in this elite group. All it took was a few seconds sat at the title screen, listening to this familiar arrangement, to convince me to play though Uncharted 2 yet again. I finished Yakuza 5 with a week to spare before the arrival of my PlayStation 4. That didn't leave enough time to play through Bioshsock Infinite, which had been my intention, and I didn't want to start on Fire Emblem Awakening, only to abandon it a few days later. So instead of trying something new, I decided to return to Uncharted 2 for the first time in four years, so that I could send off my PS3 in style. On the first night with my brand new PS4, I all but ignored my new toy, choosing to spend the evening finishing Uncharted 2 instead. Uncharted 2: better than next gen! I was not surprised to discover that Uncharted 2 has aged gracefully. In recent conversations with myself, I have been including it in my all-time top 5, just to see how it feels. I'm happy to report that it feels pretty good. Uncharted 2 won the seventh generation long before it ended; clearly, the last four years were a massive waste of time. If I were a developer, Uncharted 2 is the kind of game I’d want to make. 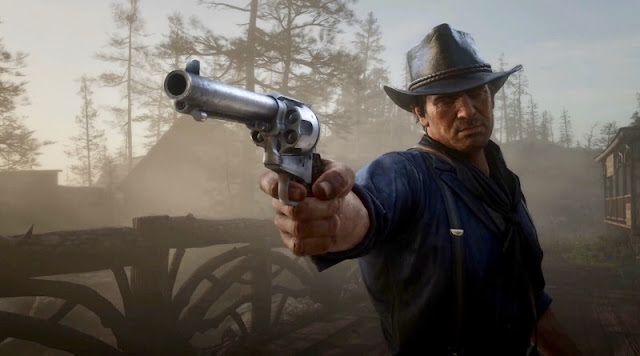 It’s action packed, character driven, well written, unconcerned with silly things like realism, easy to play and very cinematic. When applied to video games, that last word can be problematic. Being cinematic may be a desirable quality, the suggestion being that becoming more filmic is something games should aspire to. It may also be viewed as a detriment to the very essence of video games, stressing scene and linear spectacle at the expense of gameplay. Detractors would say that this is the case with the Uncharted series, that you only really play these games when Naughty Dog wants you to, and even then, player led action is so heavily scripted that it provides little more than the illusion of control. I can appreciate this criticism, and do not think it entirely unfair. However, Naughty Dog and I seem to want the same thing from Uncharted. This is a series in which I have always wanted to be led, to be shown the story as it is intended and who to shoot and when, and Uncharted 2 is the best of the bunch. One of my favourite things about Uncharted 2 is the quality of the performances. Sharp writing, natural interactions between characters and impeccable voice acting are what make it so irresistible. Drake and co. are so well written that believing and investing in their relationships takes no effort at all. Meeting villain-in-disguise Flynn for the first time, you sense the history, competiveness and slight unease between he and Nate. It is inferred through body language and tone, without resorting to origin stories and flashbacks. There is a beat and fluidity to the interactions between our leads that you won’t find in most games. This is most apparent with Nate and his mentor, Sully. Naughty Dog knew they had a good thing with these two, yet they refrained from overdoing it. Their partnership is limited to just a few chapters, a smart decision that makes their shared moments even more special and allows other relationships to blossom. By separating our two most lovable rogues, ND were able to develop other characters, most notably Elena and Chloe, and the game was better for it. Many of the qualities I've mentioned could be applied to any of the Uncharted games, so why have I chosen the second entry? Well, it improved upon the original and, while the third game occasionally overdid the Uncharted staples, here the tricks still felt new. 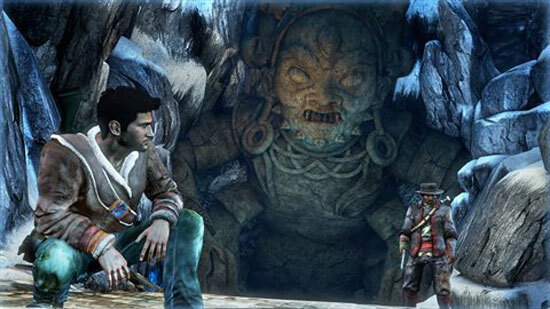 Uncharted 2 is without filler, is perfectly paced and has some of the series’ finest moments. It starts on a cliff hanger, quite literally, and gets even better from there. The chapters set in a war-torn, Nepalese city are the best of the series. Climbing and fighting through the hotel, jumping between rooftops while dodging an attack helicopter is still as breath-taking as it was the first time we saw it at E3 2009. Nate’s first stroll through Tenzen’s mountaintop village is one of the quieter moments, but also one of UC2’s best. Stunning views, small but charming interactions and flashes of colour are in stark contrast to later scenes of the village’s near destruction, where bad guy Lazarevic succeeds in getting a tank to the top of a mountain - he is resourceful and evil! There is a wonderful sense of progression in Uncharted 2’s chapters, in narrative, style and setting, and everything fits just so. Heading into the last generation, I was most looking forward to new Final Fantasy and Metal Gear Solid. Those were the series I adored and had hoped that the future would bring outstanding entries from both franchises. With Metal Gear Solid 4, PSP standouts and HD collections, MGS would not disappoint; unfortunately Final Fantasy took a turn for the worse. That neither series provided a best of gen winner would have disappointed my 2005 self, but looking at it now I couldn’t have asked for a better result. At a time of iteration and yearly sequels, it’s reassuring that my favourite of the Seventh comes from a series that did not exist at the previous generational handover. As much as I want the recently teased PS4 Uncharted to be the second game's equal, I am hoping for a similar result again this generation. 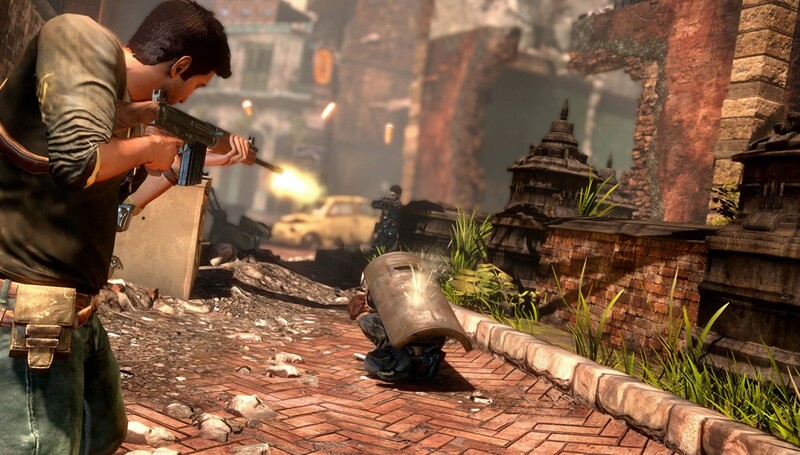 Uncharted 2 is far and away my favourite game of the seventh generation. Excellent write-up on one of the best games ever! Everything came together so well from the setpieces to the character interactions to the improved combat. The Desperate Times chapter with the hotel climb and helicopter chase is still my favorite in the series, but I think this game has most of the series best moments (the train, the tank sequence, etc.). What a wonderful game. Great read! Desperate Times is definitely the high point. The only way it could be improved is by including Sully! Really excited to see what happens with Uncharted on PS4. Definitely one of the best games this gen and completely sold me on the PS3 (was my first game with it). Wasn't really a dull moment in it, just a fun little roller coaster ride from start to finish. Definitely in my top 10 games this gen.
A pretty good first game! Uncharted 2 is very consistent. As you say, there was not a dull moment in UC2. Great writing, characters and gameplay throughout.